Every year in spring, my friends and I would go hanami, basically watching sakura and eating food brought from home. 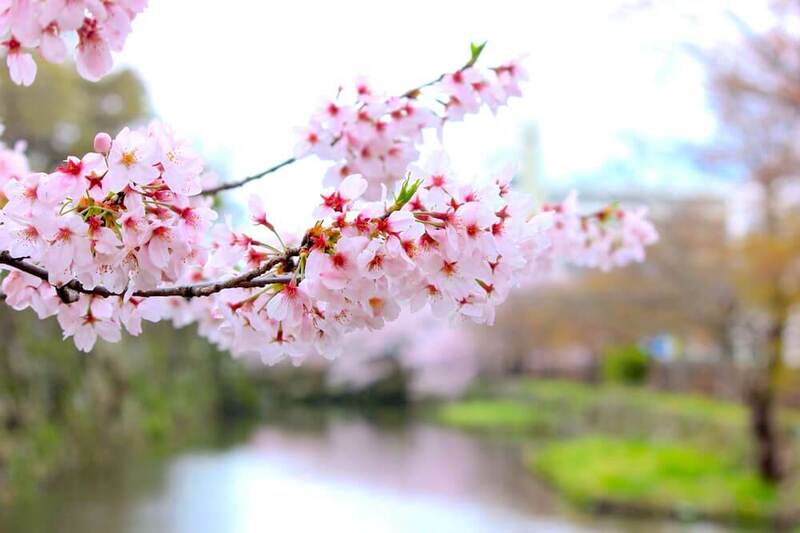 We change our hanami spots regularly because there are so many gorgeous places in Himeji to watch Sakura. Let the pictures do the talking aye. It is a very beautiful day. The woman looks around and thinks: ‘there cannot ever have been a spring more beautiful than this. I did not know until now that clouds could be like this. I did not know that the sky is the sea and that clouds are the souls of happy ships, sunk long ago. I did not know that the wind could be tender, like hands as they caress – what did I know – until now? Always it’s Spring and everyone’s in love and flowers pick themselves. Spring drew on…and a greenness grew over those brown beds, which, freshening daily, suggested the thought that Hope traversed them at night, and left each morning brighter traces of her steps. The blossoms seem unusually lovely this year. There were none of the scarlet-and-white-striped curtains that are set up among the blossoming trees so invariably that one has to come to think of them as the attire of cherry blossoms; there were no bustling tea-stalls, no holiday crowds of flower-viewers, no one hawking balloons and toy windmills; instead there were only the cherry trees blossoming undisturbed among the evergreens, making one feel as though he were seeing the naked bodies of the blossoms. Nature’s free bounty and useless extravagance had never appeared so fantastically beautiful as it did this spring. I had an uncomfortable suspicion that Nature had come to reconquer the earth for herself. In the garden, birds sing, bees hum and the flowers and butterflies bewitch me. Every bug and beetle, petal and leaf grants peace to me in the present moment. As I tread upon emerald blades that gently sway below crystal skies, the garden unveils to me the philosophy of life.